Four koalas have gone where many of us have yet to venture. 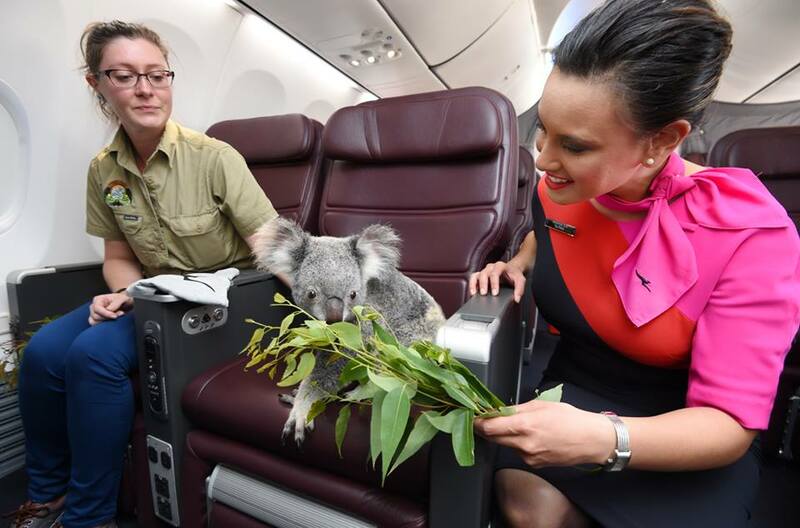 A bunch of these furry marsupials received the VIP treatment on board Qantas, taking a seat in Business Class and enjoying in-flight luxuries like hot towels and eucalyptus-infused refreshments. Paddle, Pellita, Chan and Idalia travelled from Brisbane to their temporary home in Singapore. The native icons are on a six month gap year, relocating to a newly renovated enclosure at Singapore Zoo to mark the country’s 50th anniversary of independence. 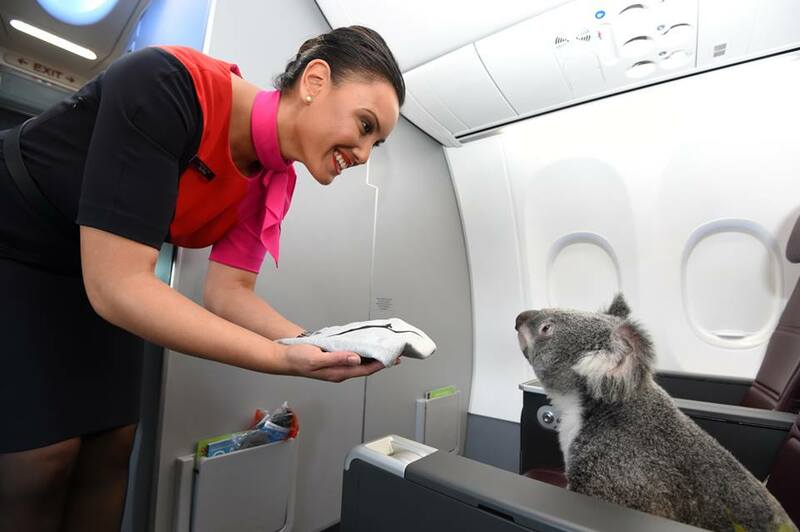 Qantas had the honour of delivering the koalas and will also be making a twice-weekly eucalyptus run for the duration of their stay at Singapore Zoo. Lone Pine Koala Sanctuary in Brisbane has been helping Singapore Zoo prepare for the new arrivals. Once the Zoo can support a koala colony long term, a collection of the adorable leaf-eaters will call Singapore home for good. Of course, the tiny travellers were only able to enjoy their ‘Koala Class’ upgrade for so long. They travelled in the cargo hold in custom-built, climate-controlled koala capsules.